Douglas Wilson makes an important point that I would like to briefly expand. He says that “ad hoc alliances among evangelicals vary from country to country.” His point being that evangelicals in different nations have different set of assumptions. As an example, Doug mentions the Amyraldian position in the UK, which is very popular among Calvinistic circles. In the US, he argues, the same people suspicious of the FV would be suspicious of a four-point Calvinist. I would also add that there are different alliances even in the same country. The FV has caused quite a stir among Southern Presbyterians, however, not all presbyteries aer created equal. Young men pursuing ordination in one part of the country (in the South) would be condemned for having Paedocommunion inclinations, but another young man in the Pacific Northwest (I have the PCA in mind, as opposed to other smaller presbyterian denominations) might receive a warm welcome for being inclined toward paedocommunion. These types of contrasting reactions are unfortunate, but yet they form the make-up of the present FV controversy. Since we acknowledge that there are differences and nuances being articulated in Federal Vision circles from the standard Reformed dogma in this day, then the next priority for anyone studying the matter is to be able to understand it well. Once an individual concludes that it is his duty to disagree, Wilson says, “at the bare minimum you should be in a position to state the position that you are opposing,” such that your opponent can say that that is what his position teaches. In understanding Federal Vision theology, grasping crucial nuances are essential to get at the heart of the debate. It is important to go Ad fontes, back to the sources. The web provides valuable resources in this respect. No one can say in this day that FV advocates have not provided sufficient information to understand their position (FV Resource site). However, even with all these resources, Bill DeJong still proves that some really are not that concerned about properly representing FV theology. I want to offer a few summary thoughts on the Federal Vision following to a great extent Douglas Wilson’s two lectures delivered in the UK. You can purchase the audio here. These posts can be read in two minutes or less. They are basic and should offer a helpful introduction to the topic. I have written a few papers on the topic of Covenant and Election and hope to post them in the future. Douglas Wilson’s first talk is on the Federal Vision: Conception and Misconceptions. Wilson begins by making a case for why these lectures are necessary. It appears that the UK version of the FV debate is now taking place. Though it is a seven year debate in the US, it is only fresh and new in the UK; thus, answering and clarifying questions concerning the FV is crucial at this stage. We need to understand what the issues actually are. 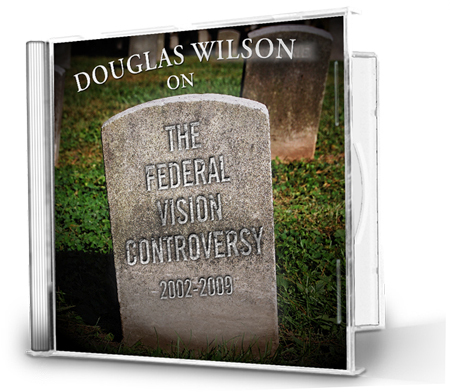 We cannot deny that there are legitimate differences being articulated in the Federal Vision. For instance, no one can deny that Paedocommunion is a uniquely FV emphasis in contrast to traditional Reformed understanding. On the other hand, there are as Wilson calls it “diversionary issues,” which are not issues at all. These are issues that are thrown out there and associated with the FV, but are simply not at the heart of FV thinking. These issues take us away from the real and substantive matters in dispute. Well, the URCNA FV report is just as bad as the rest of them. Bill DeJong has done the slow and steady work of showing how they purposefully omit the qualifications which FV writers make. You can see the latest here, here, and here. This can only be because they wish to distort the issues in order to make their case. This is why the whole “NAPARC has spoken” argument is empty. NAPARC has spoken repeatedly, to be sure, but it always does so in an irresponsible and inaccurate way. I don’t take it seriously. It is only worth speaking to the sane critics of the FV, for many of the critics are simply malicious. But to those sane critics I say, your case is seriously compromised. You cannot criticize the FV for being unclear or careless with language if your own denominations are guilty of the same. Reprobation is a real theological and biblical idea. It is directly related to the idea of apostasy. Apostasy is a real theological and biblical idea. It is directly related to baptism. In baptism, apostates find their worst nightmare. It is better to be baptized by a cult (which is an invalid baptism to begin with) than to be baptized by an orthodox Trinitarian church. The problem for the apostate with the latter baptism, is that they incur the full wrath of the waters. As Leithart writes: “Their baptisms are effective in being witnesses against them.” Baptized apostates will receive what the Egyptian army received. You can reject categorically the dialectic of law and gospel, while at the same time rejecting Federal Vision theology. In fact, the first to make charges against the Auburn Avenue Theology was Rev. Joseph Morecraft. Morecraft affirms the confessional language of “covenant of works,” while denying the law/grace dialectic. When discussing the bi-covenantal theology of Peter Leithart, it appears that the Klinean school is the one taking aim at Dr. Leithart, not Joseph Pipa or Joe Morecraft. 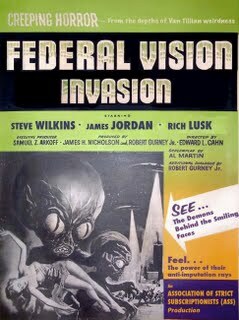 Indeed there is evidence that those who drafted the minority report are unashamedly Klineans. Hence, it appears that the underlying rejection of man like Leithart is also an attempt to rid the PCA of men like John Frame, Reggie Kidd, Robert Rayburn and others who share similar ideas on covenantal theology and its implications. This is very unfortunate in my estimation. American confessional Presbyterianism, as a subdivision of the Reformed Church, has, in fact, a long history of discussion and disagreement regarding a number of doctrinal formulations, including some of the very matters presently in dispute in our church, viz. election, covenant, baptism, and ecclesiology.